On December 31st, 2009 Mr. Cycle Parts will close their doors forever. 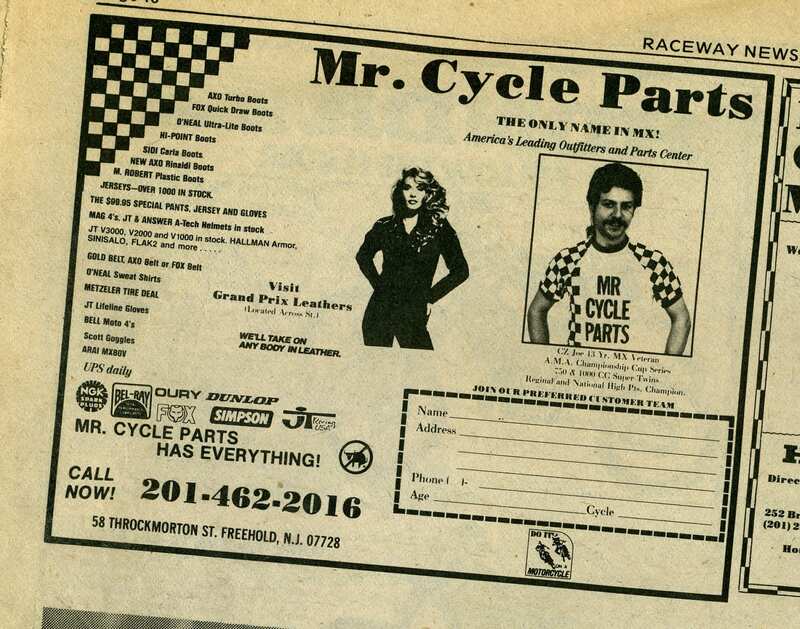 Many of today’s current crop on NJ motocross racers probably have never even heard of Mr. Cycle Parts and it owner CZ Joe. Joseph Boguslawski has owned the cycle shop located on Throckmorton St in Freehold for 32 years. The, then 18-year-old, motorcycle enthusiast opened the store in 1977 with very little funds but a hard work ethic and made the little shop a well-known fixture to local racers. For several years Joe even set up shop each race day at Raceway Park in a little hut just behind the tower and was a big supporter of racing at Raceway Park. After leaving the motocross world behind the shop continued to succeed in the same Freehold location. As Joe steps away to pursue other interests I for one am sorry to see him go.